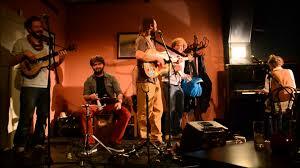 Original, entertaining and thought provoking, the Rubber Wellies are a travelling folk oufit like few others. 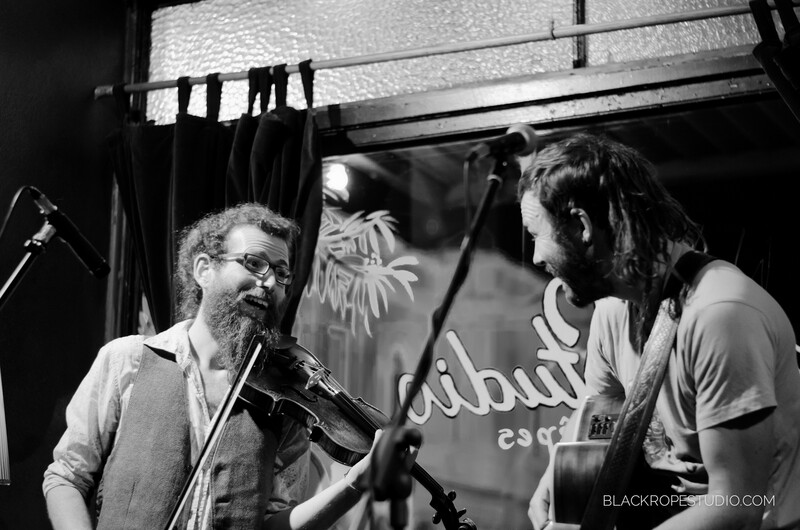 Based in the Basque Country, Ireland and UK they are a touring collective skippered by singersongwriter Harry Bird, multi-instrumentalist Christophe Capewell and fiddler/vocalist Kitty Theodore. 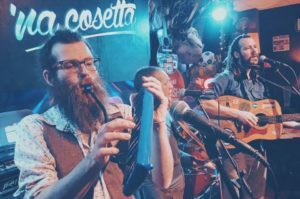 With three albums under their belts and ten years of experience together on the road they have entertained audiences all over Europe and beyond in the manner of the musical troupes of old – a hard working, fiercely independent act with a love of feel-good fun. 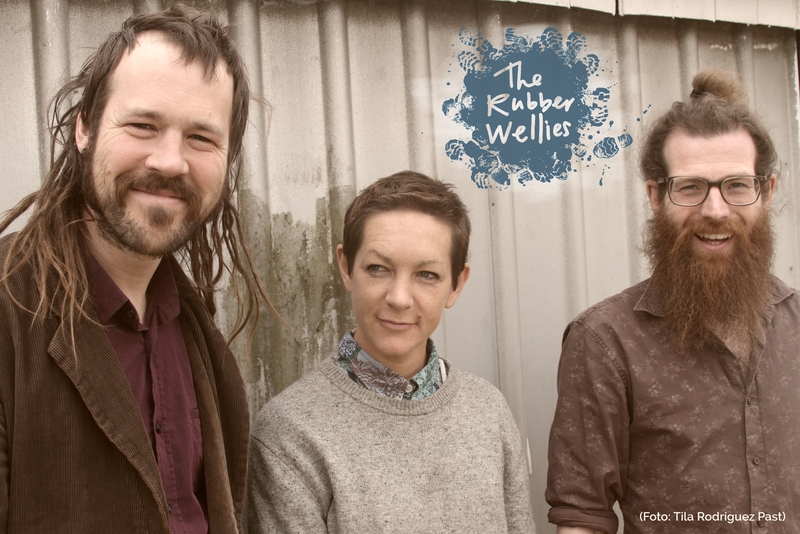 Drawing on narratives from curious everyday occurrences, global politics and folk legends, the Rubber Wellies multi-lingual performances are a mix of musical story-telling and good-time sing-alongs that flip between poignant introspection and carefree raucousness. Their musical style is an international mash-up of sea shanties, mexican rancheras, bossa nova, reggae, old time and swing. Similarly their approach to writing and performance attempts to build bridges in a sonic/emotional conversation that creates plenty of opportunities for thoughtfullness and laughter. Previously known as Harry Bird and the Rubber Wellies, the current touring collective often includes the likes of Ian "Dodge" Paterson (all kinds of bass), Jamie Bird (banjo, mandolin), Adam Downey (percussion), Heather St John (vocals) and Will Rutter (guitar/mandolin). 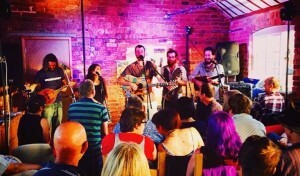 The live lineup is in constant flux - ensuring that, whether as an intimate trio in a folk club or a stomping festival five-piece, their vibrant, irrepeatable shows are not to be missed! 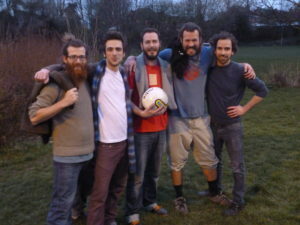 The Rubber Wellies, who shortened their name in January 2016, began life as Harry Bird and the Rubber Wellies. It all started in 2008 with an initial line-up of Harry Bird, Christophe Capewell and Maria Blackwell (wellies, get it?!). Frequent trips between Ireland and the Basque Country soon became annual European-wide tours of a hundred dates or more. Since Maria left to pursue a fine arts degree in Melbourne in 2010 there have been many collaborations, comings and goings and appearances - by Patrick Durkan, Will Rutter, Adam Sinclair, Sweeney Lee and Gaddafi Nuñez, to name but a few. 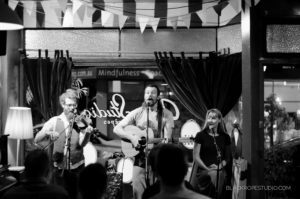 Over the years the trusty welly-mobile has also been a home on the road for the likes of La Baldosa Flotante, Humanos Intentandolo, Fia Rua, Pearse McGloughlin and many other touring artists.